While our specialist design skills are our trademark, we offer a complete service to our customers which includes full project management and interfacing with manufacturing and component vendors. Our broad experience also means we can quickly source additional specialist skills from our network of contacts. Our in-house technical writer can assist with your documentation requirements at every level, from technical specifications to on-line help. 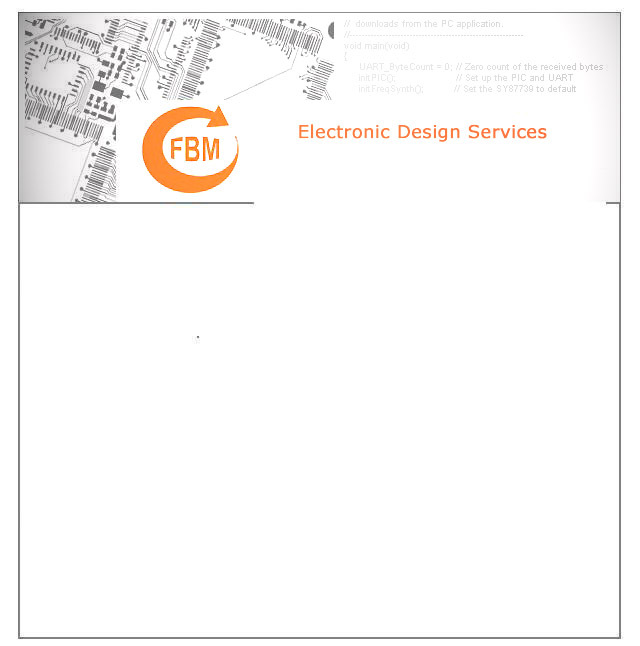 Where FBM have been involved in the design phase, the product knowledge has already been acquired, simplifying this task. Top level management; Skills sourcing; Inventory management. MS Word; FrameMaker; Visio; RoboHelp.